The Victorian era is one of the most popular periods in history, often being used as a backdrop for so many films, books, and video games across a number of genres – from historical fiction to science fiction. And it’s pretty easy to see why. 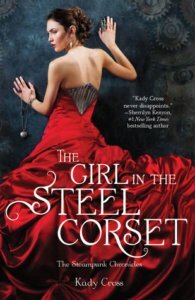 From the costumes to the culture during that time, the changing technological landscape in a world at the cusp of industrialization, and the persisting social beliefs from the period – not to mention the ghosts and the gaslights and Jack the Ripper – there seems to be so many things about the Victorian era that makes it something worth mining in fiction. And YA fiction is no exception. 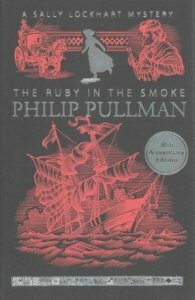 There are so many YA titles set in the Victorian era – inside and outside of the UK – and so many of them are good. 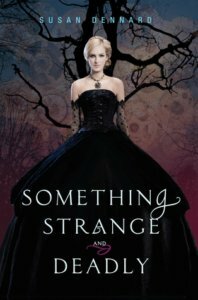 So here now is a list of great YA titles set during the Victorian era. 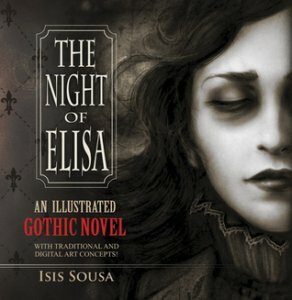 If you’re hungry for some Victorian Gothic, ghosts, or romance, pick out a book from below and check it out the next time you find yourself in a bookstore! Alice Angel has led a life of restrictions and punishments after straying from the path of Victorian values that her mother has set for her. After an incident with a charming stranger, Alice’s family decides to send her to the madhouse. But Alice won’t have any of it. She runs away and joins the Agapemonites in their Abode of Love, a colony of women ruled by ex-Reverend Henry Prince. Alice believes that she’s found her place, consumed by her passion for Prince, but the longer she stays in the sect, the more she realizes that she may be more trapped than she’s ever been. Henrietta Howel has the power to burst into flames. She’s forced to reveal this power when she needs to save a friend, but instead of being executed, Henrietta is instead invited to train as a royal sorcerer for Her Majesty. 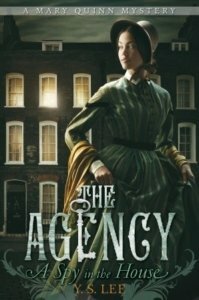 Now, thrust in the middle of Victorian London, Henrietta is declared the chosen one, tasked to defeat bloodthirsty demons called the Ancients. Together with her fellow trainees – both charming young men – it seemed that Henrietta’s direction in life was clear. But then she finds out one thing: that she isn’t the chosen one, and that the sorcerers are playing a game of deception, of which she is part. Cora, Michiko, and Nellie, are all assistants to powerful men, whose lives get intertwined when all of them meet each other at a ball where a mystery man gets murdered. It’s up to these three young ladies in turn-of-the-century London to solve the murder – without calling the attention of the wrong people to themselves. Tessa Gray has to go to Victorian London to search for her brother, but terrifying creatures wait for her in London’s Downworld. 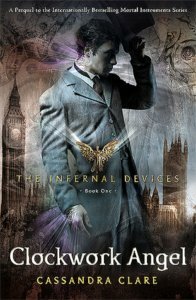 The gaslit streets are populated with vampires, warlocks, and demons, and the only thing keeping the world safe are the Shadowhunters. 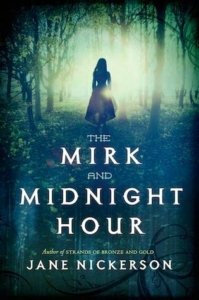 Tessa is soon kidnapped by the Dark Sisters, members of the Pandemonium Club, and realizes that she is a Downworlder herself, with the ability to shapeshift into another person at will. 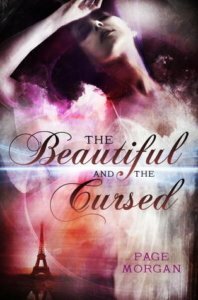 Learning that she isn’t safe in the Pandemonium Club, Tessa seeks refuge with the Shadowhunters, where she meets two mysterious young men to whom she is drawn: James and Will. 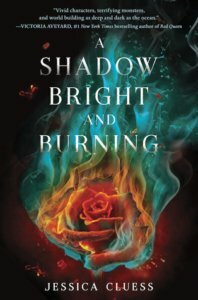 Now Tessa has to choose between saving her brother and saving the Shadowhunters – a difficult decision that might affect all. Gemma Doyle is shipped to England from India after her mother commits suicide. In a boarding school called Spence, Gemma is alone and lonely and ridden with guilt. Not to mention she keeps seeing visions of the future which are likely to come true. And she’s being followed by a young Indian man, who’s supposed to watch her. Gemma must face her future and her destiny, in a place far away from home. Anna Arden’s family is of the Luminate, powerful magic users. But Anna herself is banned from society because she is Barren, unable to perform magic. And when she manages to break her sister’s debutante spell, she is exiled to her family’s native home, Hungary. There she discovers that things aren’t what they seem. 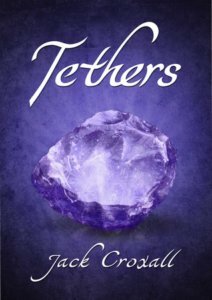 All across the land, there is discontent against the Luminate, and Anna can’t stop herself from breaking spells. Now Anna becomes the catalyst of rebellion that everyone needs. 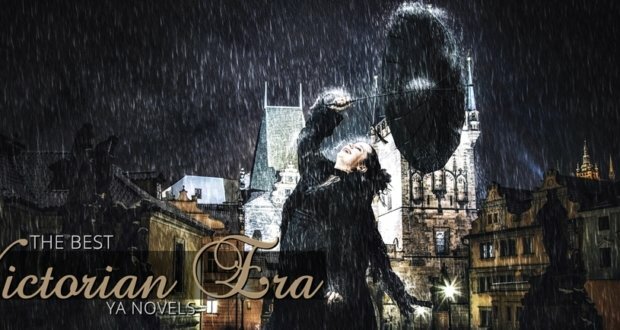 With the help of nobles, revolutionaries, and the handsome Romani Gabor, Anna must decide to either deny her power or embrace it and save the world. Sisters Elizabeth and Diana Holland believe they rule Manhattan’s social scene, but the pair realize that their status in society isn’t secure. And then other girls of high standing come in to further topple the sisters’ standing. Elizabeth must also choose between her duties for the Hollands and her true love. But her carriage topples into the East River one day, and now suddenly Elizabeth Holland disappears from the scene. As everyone grieves, some people wonder whether or not this was planned, and that someone wanted to see Elizabeth disappear. 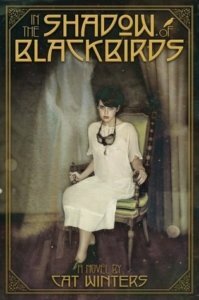 Mary Quinn is a young orphan living in 19th century London.When she is rescued from the gallows, she is surprised to be given the opportunity to study at Miss Scrimshaw’s Academy for Girls – and ultimately landing a job with the Agency, where her unusual training in the Academy will be put to the test. She disguises herself as a lady’s companion, and infiltrates the home of a rich merchant in an attempt to trace his missing cargo ships. But what she discovers is far greater, as dangerous deceptions are thick in the household and it appears as if no one can be trusted. Things aren’t going well for sixteen-year-old Eleanor Pitt. Her brother is missing, the Deads are rising in Philadelphia, and somehow she knows her brother is involved. 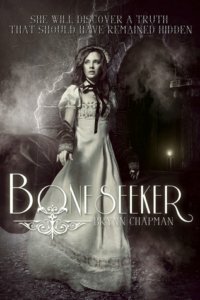 Eleanor enlists the help of the Spirit-Hunters, who protect the city from supernatural forces and are after the necromancer who’s reanimating the corpses. But the situation becomes worse as Eleanor Spends time with them and their handsome inventor, Daniel. Her reputation is not the only thing at risk, as Eleanor’s very existence hangs in the balance. Finley Jane has something inside her, and it’s the one thing that helps her fight back when a man tries to take advantage of her. 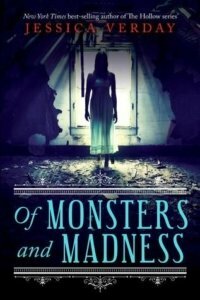 She’s not normal, she knows, and the only one who can help her is Griffin King, who can see the magical darkness within her. 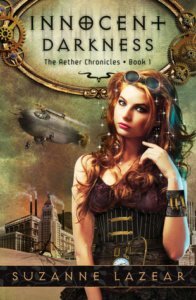 Taking her away from the gaslit streets of Victorian England, Finley starts to believe that she’s finally part of something. But then the criminal mastermind called the Machinist comes to threaten her group apart. 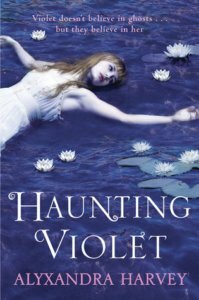 Violet Willoughby is being haunted by the ghost of a young woman, and now it’s up to Violet to solve the mystery of this girl’s violent death and prevent the ghost’s twin sister from suffering the same fate. Karl Scheffer and Esther Emerson discover an anonymous journal with strange passages and scribblings, which soon draw them into a conspiracy surrounding an otherworldly artifact. Now their uneventful lives in the market town of Shraye are taking a turn, as the allure of the journal begins to take them on a journey towards the coast and away from home, where a dark chain of events is waiting to happen. Noli Braddock and her best friend Vs are in trouble, when the Los Angeles Air Patrol catch them in their flying auto. Noli is sent to a reform school in San Francisco, and is sure that her life of adventure is over. 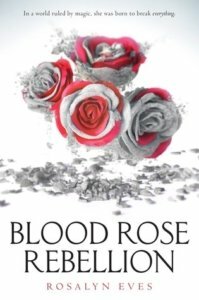 Kevighn Silver, meanwhile, is tasked by the Faerie Queen to bring a mortal girl back to the Otherworld, whose blood is needed to keep the Otherworld from getting destroyed. And this girl, it turns out, just happens to be Noli – who manages on her own to stumble into the Otherworld, more homesick than ever. After an accident, Ingrid Waverly, her sister Gabby, and her mother, all have to leave London for the unfamiliar world of Paris. There, there are no balls or glittering gowns, and the house that her brother Grayson managed to secure doesn’t seem to be a house at all but an abandoned abbey, with gargoyles lining the roof. And Grayson is missing. No one knows where he is except for their handsome servant Luc. Ingrid knows her brother isn’t dead, but the path to discovering his whereabouts is treacherous. Ingrid knows that her brother is in danger, and it’s up to her and Gabby to find him before all hope is lost. Will Henry is an orphan, and the assistant to Dr. Pellinore Warthrop, a man fascinated by monsters. Will has long adjusted to the kind of lifestyle Dr. Warthrop leads, and isn’t surprised by a lot of things anymore. But then one day a visitor comes to their doorstep, carrying the body of a young girl, along with a monster that’s eating her: an Anthropophagus, a threat Will and Dr. Warthrop never thought they’d ever face. Now Anthropophagi are appearing all around them, and it’s up to the both of them to stop the threat before it’s too late. Audrey Rose Wadsworth is a lord’s daughter, and is no stranger to wealth and well-fitting dresses. But beyond that life of privilege, she leads a secret existence: the study of forensic medicine. Her work leads her to a case involving a string of savage, brutal murders, and her attempt to find answers brings her closer to the most unexpected place: her own world of privilege and wealth. Victoria Mansfield is the youngest daughter of the Earl of Fairmount, and is being prepared for her debut in London society, to find a mate worthy of her standing. But Tory has a dark secret: her blood is tainted by magic, and this threatens to destroy her standing in society. When her skill is exposed, she is exiled to Lackland Abbey, a reform school where she’s supposed to learn how to suppress her talents. After that, if she’s lucky, she can reenter society again. But Tory’s world has been shaken forever, and ever known continues to be challenged. 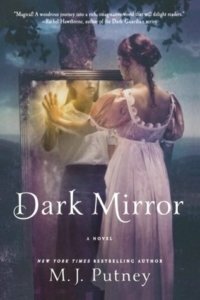 Mary Shelley Black’s world is filled with people wearing masks to ward off the Spanish influenza, and young men being shipped off to fight in the war. In a world that’s intimately entwined with death, people flock to seances to talk to spirits. 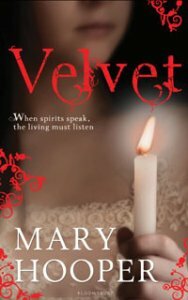 Mary herself has never believed in ghosts, but a moment in her life starts to make her rethink all that she’s believed in, when she meets the ghost of a boy who died in battle. But Mary has to know first what he wants from her. Elisa is taken by the devil as his wife, taking away from her everything she holds dear. Now Elisa is trapped between living and the world beyond-living, and struggling to live for a better tomorrow. Elisa’s health is deteriorating, but she’s determined to stand her ground. 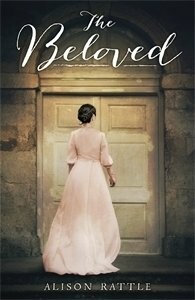 Florence’s new life begins at Crutchfield Hall, an old manor house in the English countryside where her aunt and her uncle live. Looking forward to a life far different from the orphanage she grew up in, Florence expects that things will be better. 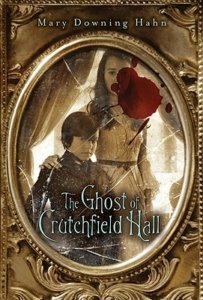 But there’s a surprise waiting for her at Crutchfield Hall – the ghost of her cousin Sophia, who haunts the empty halls and chambers of the manor. And what’s worse, she wants to use Florence to fulfill her murderous goals. Now Florence has to convince the other members of the household and stop Sophia’s plans from happening, before it’s too late. 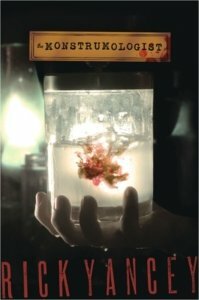 Arabella Holmes, with the help of her father Sherlock, lands a position at Mutter Museum, where she can become what she’s always wanted to be: a purveyor of abnormal science. A Boneseeker. But there’s a catch: teenage Henry Watson is assigned to watch over her. Arabella isn’t much fond of Henry, but the two teenagers must set their differences aside when the hand of a Nephilim is unearthed in New York. The discovery sets the scientific world, and Henry and Arabella’s own world, into frenzy, as speculations surrounding the existence of angels from a time before fill the air, and that their lives are in danger in the frenzied search for the truth. Ben Harvester’s life changes when he meets a certain Mr. October in Highgate Cemetery. 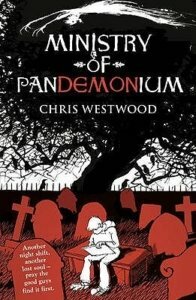 He is introduced to the Ministry of Pandemonium, where he helps guide the dead to the afterlife. But in the darkness are forces that threaten to topple the Ministry and lead the newly-dead astray. And then Ben’s mother becomes ill, and now Ben begins to wonder whether or not he can still continue his work for the Ministry. 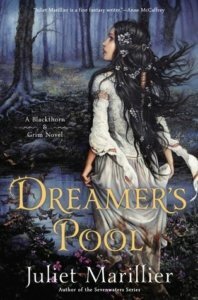 Blackthorn, a magical healer, sets aside all thoughts of vengeance against the man who destroyed all she held dear, when he helps her escape imprisonment. Now free, she travels to Dalriada with her former prison mate Grim, to live on the fringe of a mysterious forest, prepared to help anyone who needs her help. And it just so happens that the prince of Dalriada, Oran, needs her help. He is to be married to the Lady Flidais, a woman from nightmares. Now Blackthorn and Grim must do all that they can to save Oran from the deadly marriage. Anna is her father’s pawn. Roarke is an outsider who belongs to a clan living in a distant wood. Roarke is prepared to do anything for Anna, whom he has loved all his life. 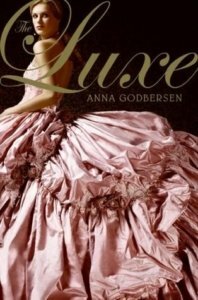 But Anna is to be married to the man her father wants her to marry, and her fate seems inevitable. But Roarke and Anna discover that everything is not what it seems, and that the lies that they’re starting to unravel might be the key to bringing the two of them together. 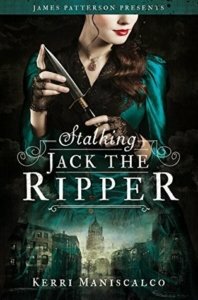 Sally Lockhart must journey through the darkness of Victorian London, in an attempt to search for clues that she hopes will lead her to unravel the mystery of her father’s death. “Its a very entertaining story! I couldnt stop reading until the end. Velvet works as a laundress in a Victorian steam laundry. With no one to rely on but herself, Velvet has to work hard to create a better life for herself. And this better life seems to come when she is noticed by the medium Madame Savoya, who wants to employ her. Velvet agrees, and finds herself dazzled by Madame Savoya, but then realizes soon that the woman is not what she seems. And then suddenly, Velvet’s life is in danger. Violet Dancey lives in Mississippi with her laudanum-addicted stepmother and lovesick stepsister, while her father is fighting a war that has already claimed her brother. When she discovers an injured Union soldier in an abandoned lodge in the woods, her life begins to change. Thomas is one of the enemy, the people who killed her brother, but she can’t help but feel drawn to him. But Violet discovers that Thomas isn’t the only visitor in the area. Someone has been taking care of him and tending to his wounds, and it becomes clear to her that it’s not care done out of compassion. Now Violet has to fight to protect her home and her family, and to protect the man she’s falling in love with. Annabel Lee moves from Siam to Philadelphia, after her father summons her not long after her mother’s death. But her father isn’t pleased with her, repulsed as he is by her and her different upbringing. Annabel finds solace in her father’s assistant, Allan, however, who writes when he’s not helping with medical advancements. And then there’s Edgar, another assistant, a devilish young man who strangely looks like Allan, and whose existence is denied by everyone she knows. When a string of murders occurs across Philadelphia and her father starts behaving more and more strangely, Annabel starts to look for the truth. What she discovers is the terrible truth: Edgar and Allan are two sides of the same person, and they’re about to realize the crimes that Allan has written in his stories. And again, there you go! We’ve arrived at the end of our list, and what a pretty long list it is. 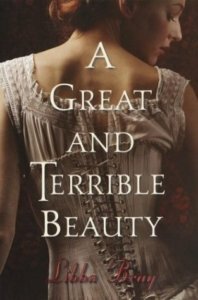 There’s certainly a whole lot more great YA books set during the Victorian era, so if we’ve missed listing down a few good ones, do let us know!